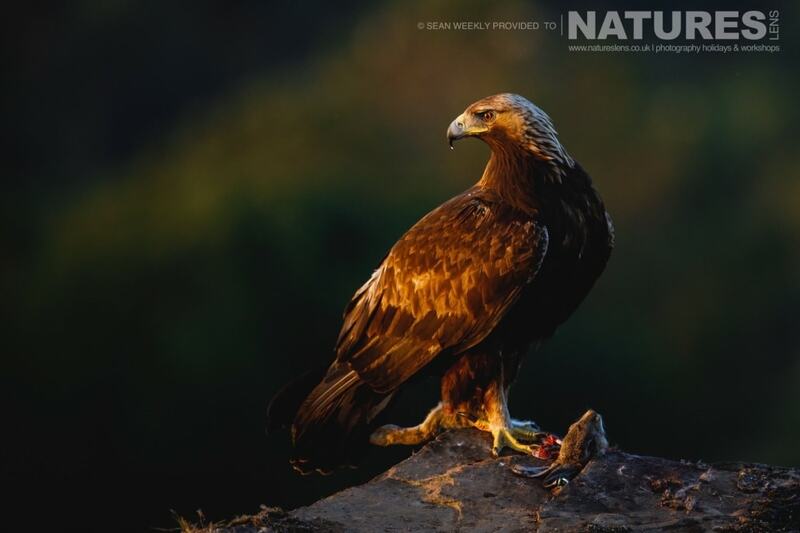 Last month saw me heading off to the mountains of the Sierra Morena in Spain leading the NaturesLens Spanish Raptors Photography Holiday. I knew from the itinerary that had been planned that it was going to be an amazing week of photography with some great sightings & photo opportunities. After a very early flight, the group & I arrived in Spain meeting up with the local guides. After a couple of hours on the road we arrived in the local town of Adamuz, which would be our base & home for the duration of the trip. The town is situated in beautiful natural surroundings & is a very picturesque location. Due to the time we arrived, we decided we were going to explore a few wildlife locations that we would be working on over the coming days. It was a great afternoon exploring our surroundings & getting some ideas for the images to come. The next day we split into two groups to keep noise etc to a minimum whilst working from the hides. 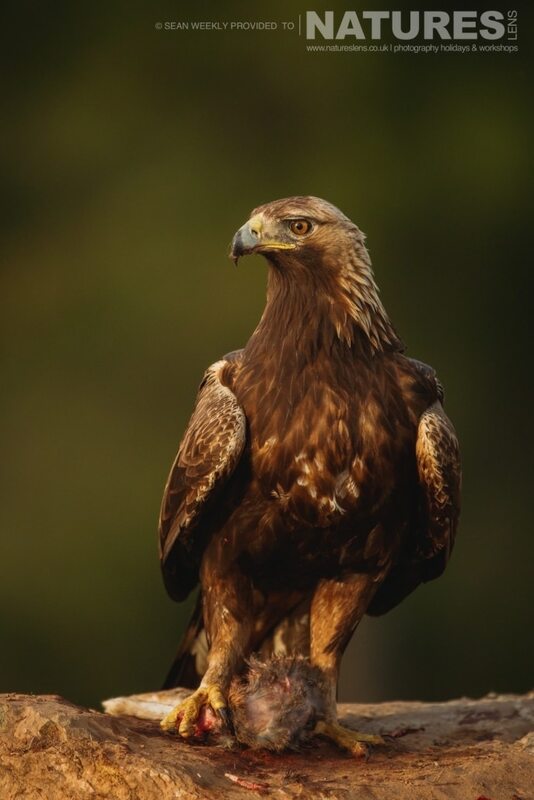 A couple of us spent the day in the Golden Eagle hide. We were greeted with some beautiful views across the Sierra Morena mountain ranges. Hide photography can sometimes be a game of patience, so having some great scenery to enjoy whilst waiting for your target species to appear was an added bonus. Our patience was rewarded when we got our first glimpse of a shadow in front of the hide. I knew a pair of Golden Eagles were above us circling around but I couldnʼt see them from where I was positioned. It didnʼt take long though before the female came in & landed just 10 metres from us! After 20 minutes or so of the female enjoying her rabbit feast, she called to the male to bring him down to eat as well. By this time it was sunset & we were rewarded with some really beautiful Mediterranean light. The rest of the week included spending various hours in numerous hides including, the Imperial Eagle, Kestrel & Hoopoe hide to name just a few. 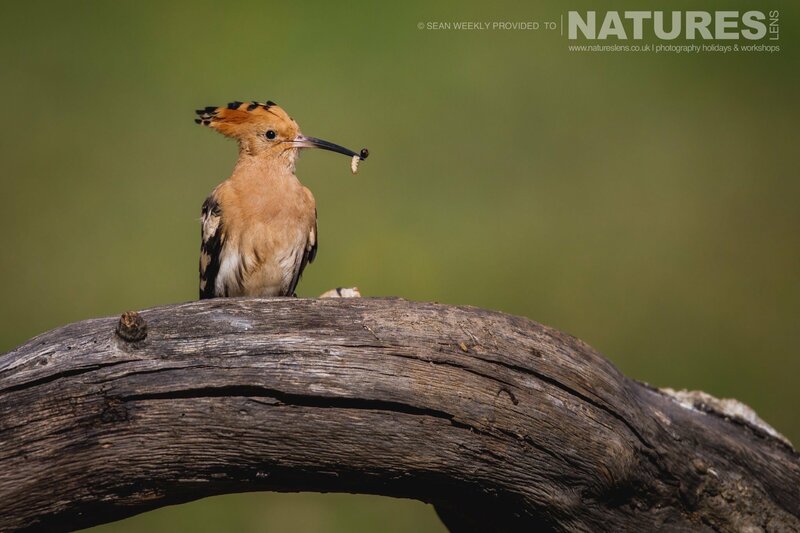 The Hoopoe hide was fantastic & resulted in some great images of this fascinating bird. 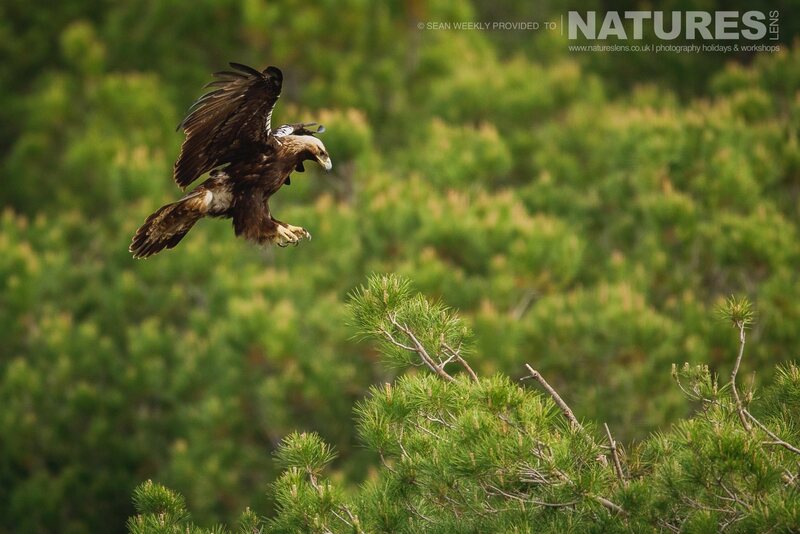 The hide was situated metres from the bird’s nest where both the male & female were constantly bringing back food to the nest. It was amazing to see how hard these little birds work to find food to bring up their young. 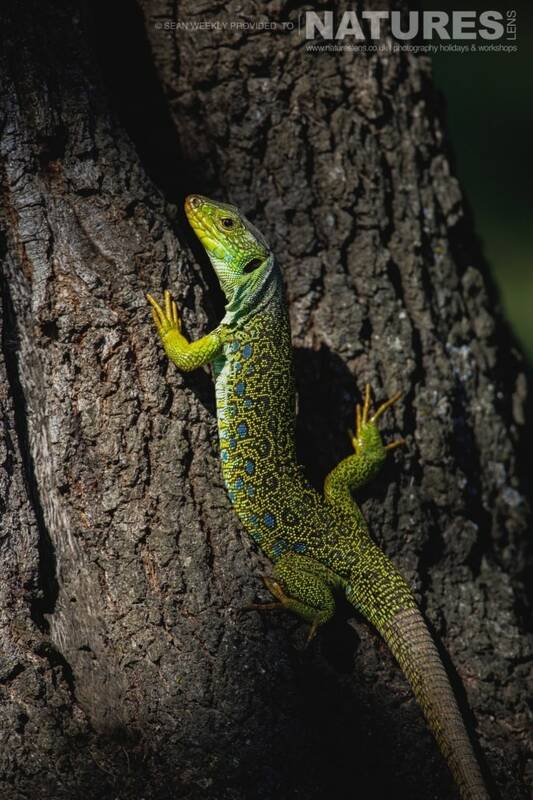 The group was also rewarded with some shots of an Ocellated Lizard that just happened to end up climbing on the same tree as the Hoopoe nest. 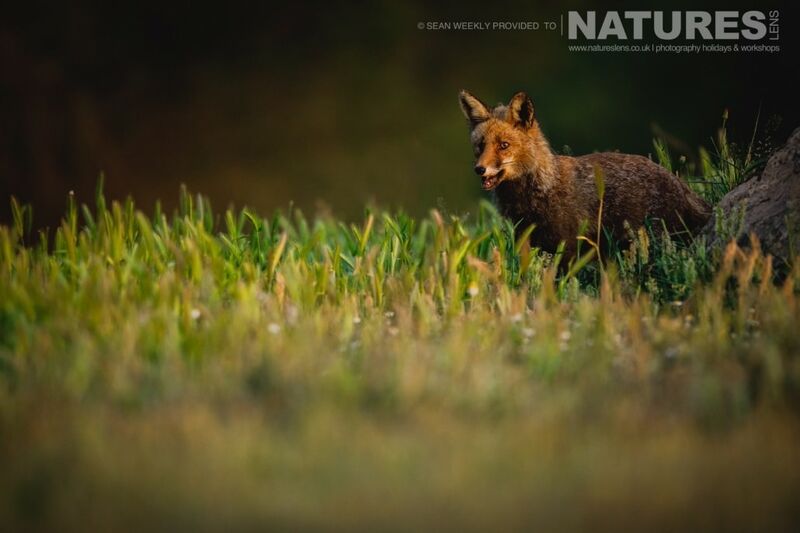 That’s what I love about wildlife photography, you just never know what is going to happen! 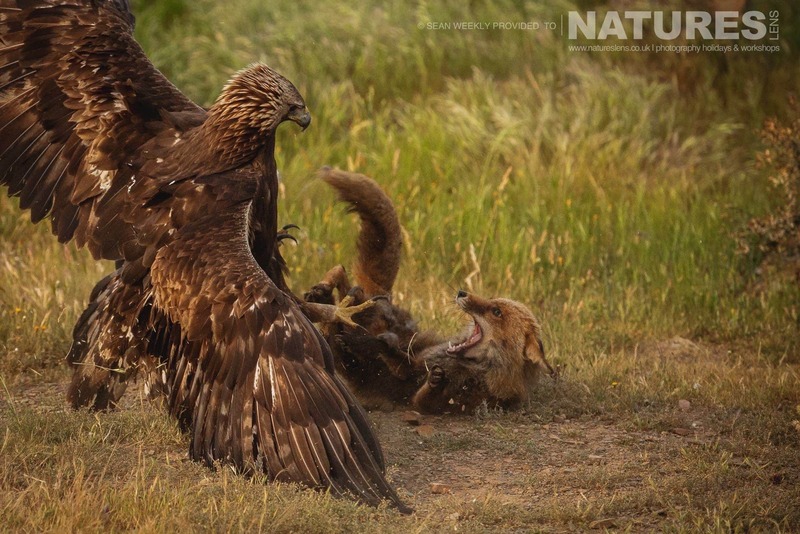 The highlight of the week for me was when I witnessed the Golden Eagle & Red Fox fighting. I could almost feel the tension between the two animals through the lens. I knew I was about to witness something extraordinary. I scrambled for my camera. To my frustration, I was over-lensed with a 400mm attached. I knew there wouldn’t be time to switch lenses & just accepted that I would get to witness something spectacular without being able to document it. The ensuing battle between them was brutal. I felt so lucky to have witnessed it but couldnʼt help feeling the disappointment of not being able to photograph it! At the end of the week, the fight was still playing on in my mind. 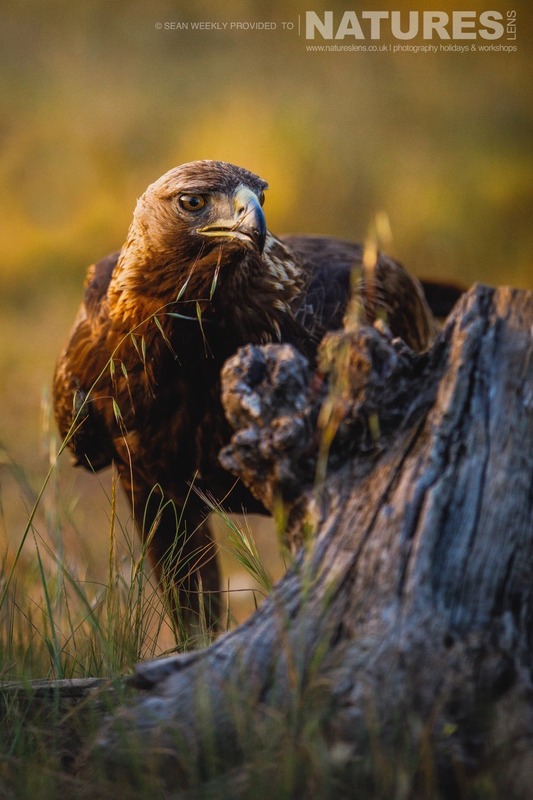 So some of the group decided to return to the same Golden Eagle hide to try our luck & see if we could witness something similar again & hopefully this time, photograph it. Much to everyone’s delight, the eagle came in & within moments, the fox returned. I wasnʼt going to be caught short again & was prepared with a shorter lens. They fought once again, literally less than ten metres from the hide. Thankfully this time I was able to capture the crazy battle. A lot of wildlife photography requires being in the right place at the right time & sometimes a considerable amount of luck. I had my fair share of luck that evening & I was delighted to have witnessed such an amazing scene. 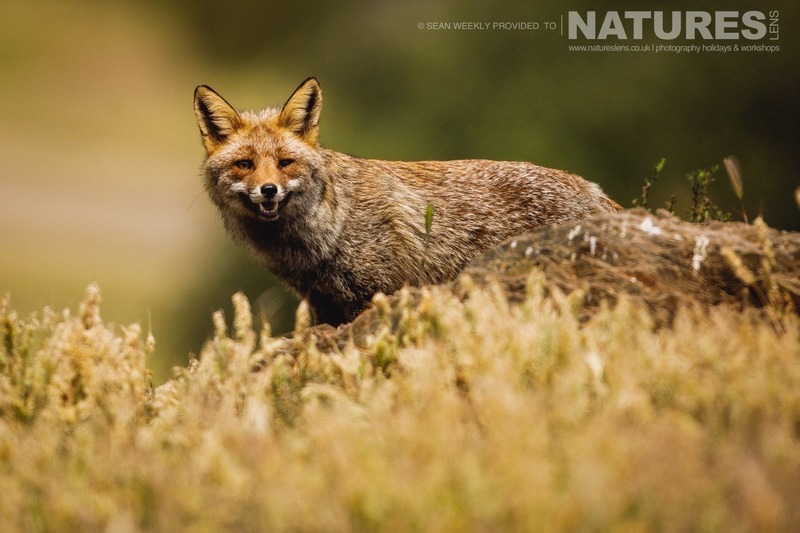 For me, it shows the boldness & bravery of the Red Fox & its determination to win the battle with the Eagle. 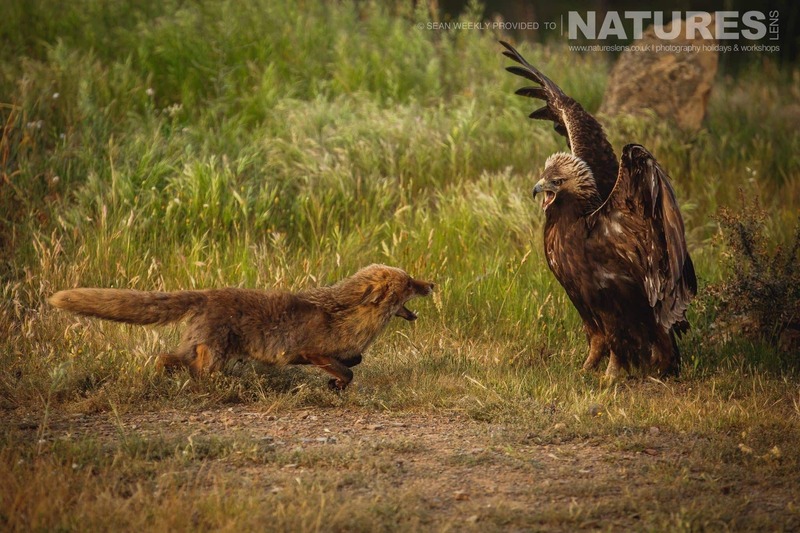 I love the way you can clearly see the size difference between the eagle & the fox. 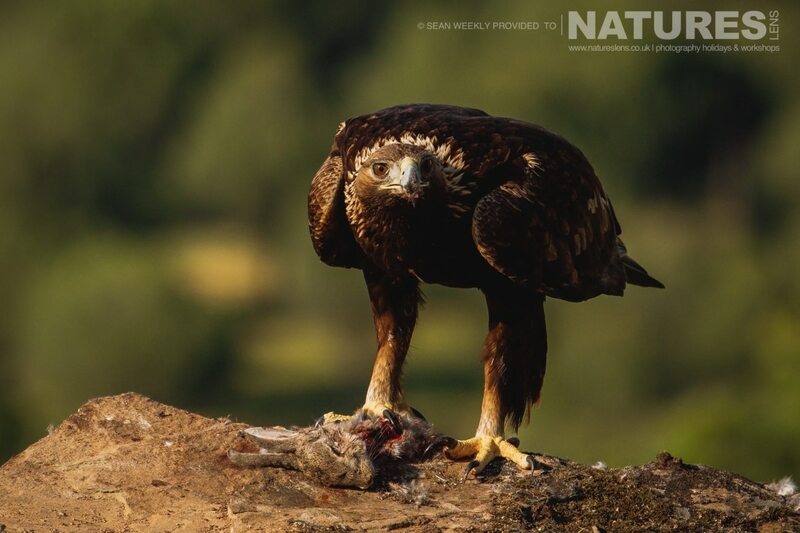 The images for me portray the harsh reality of our wildlife & risk that each animal will take for food & territory. I cannot wait for what the 2018 trips have to offer. If you would like to join me, I am leading both the Spanish Raptors Photography Holiday & immediately afterwards, the Spanish Birds of Calera Photography Holiday, meaning that you can join both & spend two weeks in Spain photographing some of the best bird species that I have ever seen! 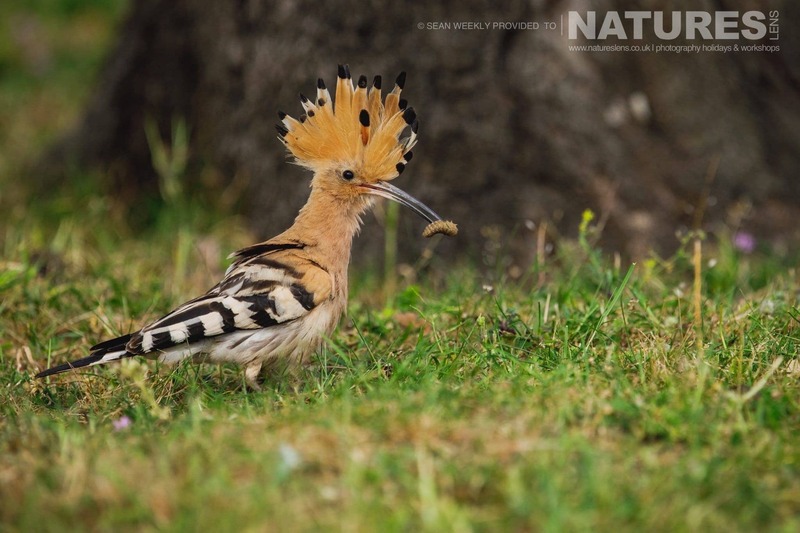 This entry was posted in announcements, photography holidays, reports, worldwide tours and tagged cuckoo, golden eagle, hoopoe, imperial eagle, kestrel, little owl, lynx, no single supplement, spain. 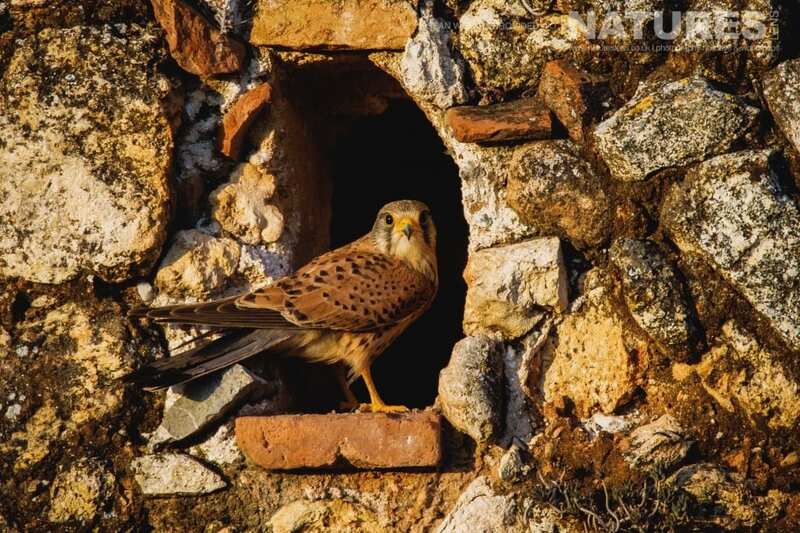 Whatever your query regarding our photography holiday, Sean reports in from our Spanish Raptors, please fill out your details below & we will get back to you.